The name "VisABLE" is synonymous with the highest professional standards and integrity in the industry. 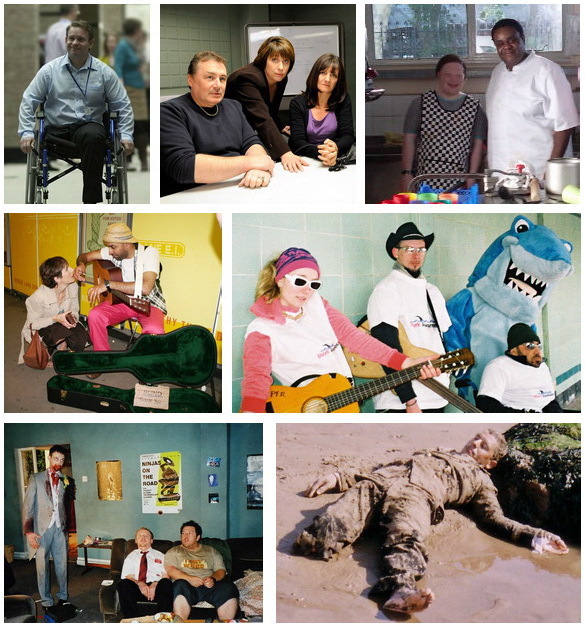 We created the market, as the first agency in the world to specialise in placing artists with a range of disabilities, in television, film & theatre roles. Louse Dyson is responsible for launching the careers of some of today's top actors and television presenters. We receive regular enquiries from radio and television, so we have lots of opportunities to give exposure to our artists - when organisations need someone, they come to us. * We provide you with the opportunity to be seen by the world's leading casting directors, film makers, TV companies, advertising agencies and theatre directors. * We provide coaching for auditions to help you get the work. * We help you build a good professional performance CV. * We provide you with a professional Profile page where you can upload information about yourself - your achievements and your pictures, and you can update them yourself anytime. You don't have to have experience to join VisABLE - we welcome everyone and we'll promote you all to our clients (TV companies and film-makers), but if you want to find acting work you will stand a much better chance if you get experience.. join your local drama group.. visit websites where you can learn about acting and get advice. What's most important is that you have a go. We are delighted to accept applications by parents on behalf of their children - if your child wishes to find acting work please complete our application form. If you would prefer to apply without telling your child to avoid disappointment, please make us aware of it on our application form.